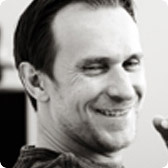 Tomas Gorny is the CEO and Chairman of Unitedweb, which he founded in 2008. His vision is to change how SMB conduct business by leveraging the web. He has a 15-year track record of investing in, building, and leading high-performing technology and Internet companies. His entrepreneurial background includes launching Trendsetter and IPOWER. In 2007, he orchestrated the merger between IPOWER and Endurance International Group. He creates the vision while managing the business strategy for Unitedweb companies. Tomas is recognized as an industry leader and has been featured in dozens of magazines, including Entrepreneur and Inc. He is a board member and investor for several companies including Endurance (Nasdaq: EIGI) along with Goldman Sachs and Warburg Pincus. He serves as chairman and board member to all Unitedweb companies. 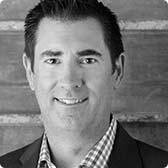 Tracy is President and co-founder of Unitedweb, where he leads Unitedweb Agency - the marketing services division of Unitedweb. Tracy and the Unitedweb Agency team serve as executive and marketing advisors to all members in the Unitedweb family of companies. In 2001, Tracy co-founded IPOWER. 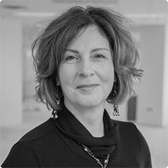 As Executive Vice President and head of marketing, Tracy was instrumental in building a customer base more than one million strong and establishing IPOWER as the second largest web hosting company in the U.S. He also created and managed one of the most successful cross-selling sales organizations in the industry. Tracy began his entrepreneurial career in 1991 when he founded Conrad and Associates, a data aggregator. He entered the Internet arena in 1995 when he founded the Blitz Network, a web advertising agency that was subsequently acquired. David joined Unitedweb in 2017 as Chief Financial Officer. He is responsible for all financial matters for Unitedweb and subsidiaries, including financial strategy, financial planning and analysis, accounting, financial operations and regulatory compliance. David's professional finance career includes more than two decades working for the two largest global software companies. At those firms, he held multiple progressive roles in accounting, audit, financial planning and analysis, and he was CFO of a medium sized subsidiary. He spent the first five years of his career at a "big four" accounting firm where he passed the CPA exam and served audit clients in several industries. He has extensive international experience leading global teams and has completed two international residency assignments. David earned a MBA from Northwestern University Kellogg School of Management/WHU Otto Beisheim School of Management. He has a B.A. in Business Administration from the University of Washington. 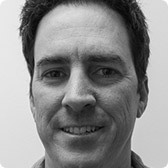 John joined Unitedweb in 2012 as General Counsel. In this role, John manages the legal functions for Unitedweb and each of its companies. His responsibilities include risk management, regulatory compliance, commercial transactions, M&A activity, disputes, litigation management and corporate governance. 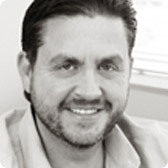 he advised various technology companies as an associate attorney with Lewis and Roca, LLP in Phoenix. John has previously worked as an equity analyst in the securities brokerage industry and currently holds the Chartered Financial Analyst designation.